Titanic Slots has up to 96.05% RTP, FREE Spins & more! 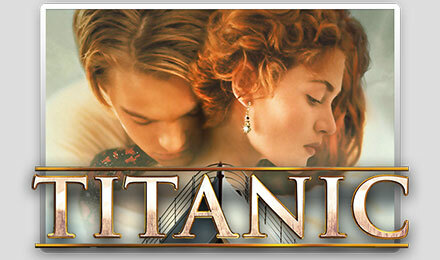 Titanic Slots has an RTP between 95.95-96.05%, and is full of rewarding bonuses and features, like a U-Spin bonus wheel. Don’t miss another minute! Ever wondered what it was like to be on the Titanic? Now’s your chance, and all you have to do is play Titanic Slots. Jack and Rose are waiting for you, so login and spin today! You’ll enjoy scenes from the film, as well as a great soundtrack. There are Wilds, Scatters, FREE Spins, multipliers and more! Plus, you’ll recall Jack was an artist – in Titanic Slots’ Mystery Bonus, match 3 of his sketches to win!